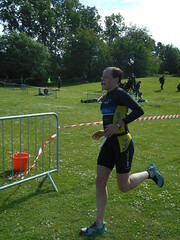 IM Austria 2014 was originally meant to be my first attempt at full IM distance but being as I won a last minute entry to IM UK last year, I had already had my ‘practice race’. Now I knew I could get around one, so this year I had new ambitions of getting a fairly decent PB and a respectable time. For the last year I have trained hard and been very focused with a massive amount of help from my Coach Musty Salih (https://twitter.com/smart_fit_uk). Not only have I put the hours in but more importantly I have trained Smart making every session count and have purpose. I have also been fortunate enough to have 12months illness free without even a cough or a snivel. Apart from a slight niggle with my glutes in early spring I haven’t been bothered by injuries this season. My race at Majorca proved that my nutrition strategy seems to be working to keep my GI issues at bay. On paper I am in the best health and shape physically and mentally that I have ever been in my life – so what could wrong you may ask? Well let me begin……. Leading up to the race last week I was almost too chilled out. My friends mock me for being ‘OCD’ as I’m very organised and have everything sorted out way in advance, however for this race I didn’t even look at my nutrition and pacing plans properly until late saturday afternoon. I had a little bit of excitement but no nerves whatsoever until the morning of the event. Being on my own in Austria I almost felt that I was too relaxed and with hindsight I don’t necessarily think that is a good thing. I arrived at transition to find my bike had been tampered with overnight and it took me 30mins to find and queue for the bike mech to fix it. The front brake cable had been loosened (the grub screw had been undone). I know for certain that the grub screw was tight when I racked up the night before as my brakes had just been adjusted on Saturday to make them more responsive, I then rode for 30mins also and it was fine. They even tested the brakes at check in and they would have definitely have noticed the brake lever going right back to bars had it have been loose then. Having wasted 30mins sorted my bike out, I then raced over to the swim start and wanted to drop my personal needs bags drop off. However, in the rush, I didn’t realise the personal needs vans had already left the bike check in so I was frantically trying to find out how to get my bags onto the truck but no one seemed to be able to help me so I gave up and ditched the bags in the Irondome tent and realised I just wasn’t going to be able to use the contents. Oh well, not the end of the world, just one of those things I told myself. In the tent getting ready for the swim I managed to drop an ear plug down the holes in the matting, at this point i thought ‘oh well these things come in 3’s so thats the last thing’. Brakes, ear plugs, bags – 3 little mishaps now time for a great race! I started the swim on the front row, to the middle of the left hand beach. I got battered about a lot in the swim which doesn’t normally bother me, but I got a full on punch to the side of the face which wedged my goggle right into my socket which was very uncomfortable. Soon enough however that seemed to sort itself out and I managed to sit on peoples feet for most of the swim at a very comfortable pace. My pace didn’t seem fast but I wanted to stay on feet as much as possible and just waited for faster swimmers to pass so I could latch onto their feet, but there never seemed to be any faster swimmers to latch on to. I was fairly pleased with my drafting but felt like went way off course at one point. I need to learn not to concentrate so much on drafting that I forget about sighting and holding a better faster pace! Bit disappointed with swim time but all in all it was a PB by 4mins and I had been advised not to exert too much energy on the swim, keep the energy for the bike and the run and just get comfortably through the swim. Following a transition training session the week before the race, I had decided to have my first go at a flying mount with shoes on the bike! 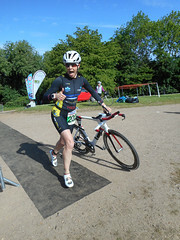 This was also first time at running along with bike holding saddle and not the handle bars – sounds really silly but I was pleased with myself at the success of this transition I started the bike with a huge grin on my face. Being clumsy by nature there was a large possibility this could have pear shaped and left me flat on my face on the floor! For some reason I couldn’t get anywhere near the pace I should have had on the bike. We all know what we are capable of and I felt the whole time that I wasn’t anywhere near where I should or wanted to be on the bike – either on the flats of the hills. I felt like I couldn’t reach my potential on the bike at all and I cant work out why – thats one for my coach to puzzle over. At about 30-40 miles into the bike I had a searing sharp pain in my shoulder blade and twitched my shoulder and back a bit and it went, only to return an inch or so to the left, I tried to reach my back to work out what it was and then it struck again, and again, and then again – all in the same line a small distance apart each time. I felt something between my shoulders blades and managed to get rid of it – I’m guessing it was either a bee or a wasp and it had got stuck in the bottom of my plaited pony tail and kept me stinging me until i managed to reach it and swat it away. I had 4 lovely big red stings or bites on my back when I got home after the race! Fuelling on the bike went well, I was drinking ATF and using my usual combination of peanut butter balls and shotbloks. In addition to ATF I also had 3 bottles water as I knew I now had no access to my special needs bags where I had my additional ATF. I started to feel dizzy and sick at around 80-90 miles, It was a bit worrying as I started to take it steadier on both the hills and the descents as a result. Given the fact I didn’t feel I needed to pee after drinking 5 litres of fluid does make me wonder if this is i sign I had lost too much salt in sweat and this is why I was feeling dizzy and sick. I had planned on taking salt stick tablets if i needed them but guess where they were – in my specials needs bag back in the Irondome! I really felt awful from the off! My plan is always to come out on the run very slowly, walking if need be and give myself 20mins to lower my HR and get a bottle of ATF into me to start the marathon well fuelled. As I got a couple mins in and my HR wasn’t coming down, I started to thinking myself, this is harder than it felt at IM UK last year. I hoped I would settle down and be ok after a short while and be able to start picking up the pace but in actual fact I got worse not better. I started taking salt stick tablets as soon as got them from my run bag but abut 20mins into the run I had to stop on hold onto a fence as I went so dizzy I simply couldn’t stand up. I started seeing shapes flash in front of my eyes and was worried the medics would come and pick me up so I pretended to be taking my shoes off to adjust my socks. At this point I contemplated bailing and getting the medics to take me back, then i thought about how much time and effort I had put in this year and I thought I must do this even If it takes me 5 or 6 hours to walk it. It was a really weird feeling, very woozy and dizzy and for a while after I started to run again and felt like i was in a bit of a dream – I actually cant remember the first time i did the long run out to the turnaround point and when I saw a friend coming the opposite way I was really confused as I didn’t understand how people were coming the other way as I hadn’t turned around at any point! I think the salt stick tablets start to work as for a while the sickness stopped and I was able to go to bout 9min mile pace and I worked out if I could average 10min miles pace i would come in at 11:45 which would have been not what I originally wanted but still a respectable time. This wasn’t to be though as at around 17miles I hit the wall for the second time and had to start holding onto to railings and fences again to hold myself up. At this point the stomach cramps started too to add insult to injury. The rest of the run was a case of run a bit, walk a bit and drink coke, run, toilet stop, jog, run, toilet stop, walk and drink coke etc…. I crossed the finish line and went straight to a quiet corner and sat down and had a little cry – actually it was full on blubbing! I was disappointed and felt like my body had cheated me. All the hours of training and hard work and on the day, my body wouldn’t do what I know it is capable of. I had feelings of disappointment, embarrassment, and delusion – to think I had dreamt of getting a Kona slot in the next 5 yrs or so and at that exact moment it felt like my dream had never been more unobtainable. After my little ‘moment’ though, It suddenly dawned on me that only a few hours before I had actually contemplated quitting and my mind hadn’t let me. 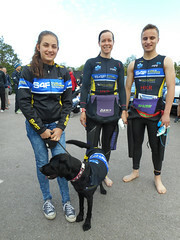 At that point I actually felt a sense of achievement – I had become an Ironman for the second time and I actually had got a PB of over 45mins. Despite feeling the worst I have felt in my life, despite wanting to quit, I had the mental strength to carry on and complete a marathon having already been racing for over 7hours…for that I am truly proud. Despite my time not being anywhere near I had wanted of this race, I guess this really puts into perspective how hard it is going to be get a Kona slot. However, I’m not ready to give up yet, I’ve got the bit between my teeth and if anything this race has made me even more determined!